Home / Shop / Sports and Outdoors / Outdoor Recreation Features / Big Shot Bikes City Commuter Bike – Copenhagen Medium. Single Speed and Fixed Gear. Front and Rear Brakes. Comfortable Road Bicycle Saddle. Sporty Bullhorn Handlebars. Flip-Flop Hub. Mens and womens. 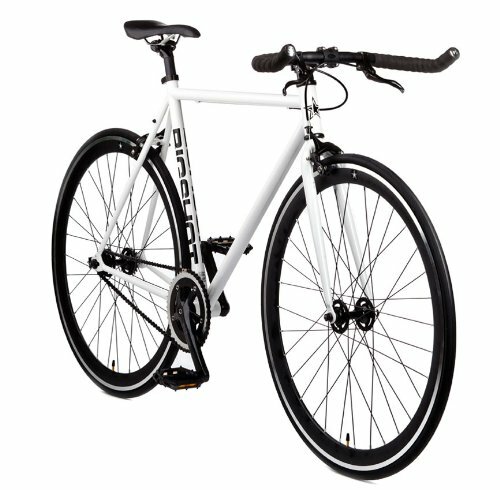 Big Shot Bikes City Commuter Bike – Copenhagen Medium. Single Speed and Fixed Gear. Front and Rear Brakes. Comfortable Road Bicycle Saddle. Sporty Bullhorn Handlebars. Flip-Flop Hub. Mens and womens. Good for city commuting between work, the gym, school or simply rolling down to the local brewery to blow off some steam with friends. Money Back Guarantee – Lifetime Warranty at the Frame and Fork – 3 year Warranty on Components. See web page for details.